I have joined the Natures Journey Stitch A Long, because… I love to stitch and I have no will-power. 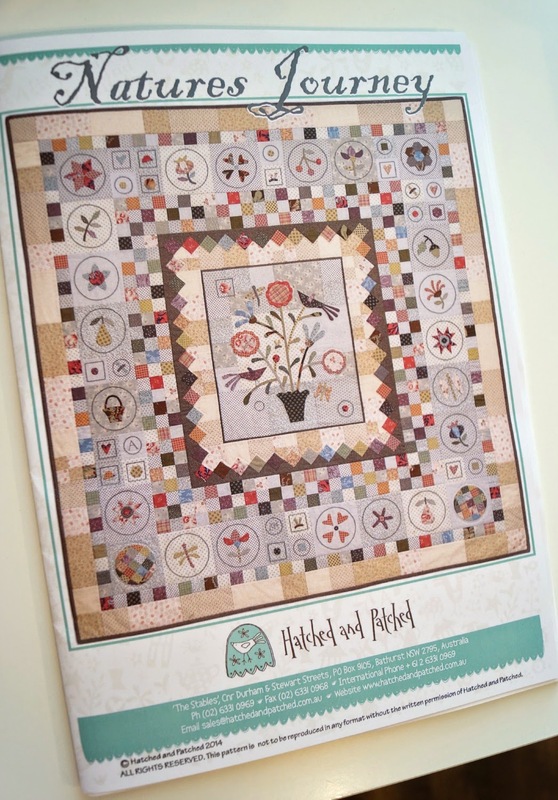 Natures Journey is the lovely new pattern by Anni Downs and I plan on delving into my scrap tubs to create this quilt. I somehow ended up with 70 FQ’s in my basket, but with a birthday gift card and a $10 off coupon, I only paid $20. Not too bad… if I do say so myself. I particularly like this chicken print. Isn’t it just cuteness… and very apt considering this quilt is all about nature and such. Seventy fat quarters for $20! What a bargain. I just love shopping when I have a gift voucher. It's makes shopping so much more fun, don't you think. WOW!! How did I miss that special - great choice for backgrounds!